Stockport, NY (March 26, 2019) – At 10:45 a.m. on Tuesday, a person was reported to have been struck by an Amtrak train in Columbia County, according to police. The tragically fatal accident was stated to have happened in the vicinity of Station Road. Emergency medical crews were dispatched to the scene, along with police, who determined that a pedestrian had been walking near or crossing the tracks when they were struck. Responders arrived to provide assistance to the victim, who was pronounced dead at the scene. The rail line was subsequently shut down in both directions as police began their investigation into the incident. At this time, the investigation into the events that led to this accident is ongoing. No further details have been provided concerning the cause or the victim. 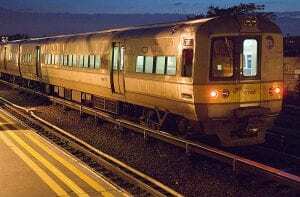 People being injured or killed in New York train accidents sadly happens all too often, and our deepest sympathies are currently extended to the victim and their loved ones at this time. While it can be tremendously difficult, it is important for the bereaved family to understand that they may have significant rights in terms of recovering compensation for their losses. This is especially true in the event that the accident was not the fault of the victim. At Hach & Rose, we are well aware of the overwhelming concerns that often occur in the aftermath of a sudden and fatal accident. Our dedicated and compassionate accident attorneys are here for you 24/7 to answer any questions you may have at this time. If you have lost a loved one in a train accident in New York, please don’t hesitate to call 212-779-0057 today.